A judge in Florida’s Leon County Circuit Court has struck down a ban on smoking medical marijuana in the state, calling it unconstitutional. People United for Medical Marijuana Inc. v. Florida Department of Health challenged a smoking restriction lawmakers added to regulations for medical marijuana. Plaintiffs cited medical cases in which smoking cannabis was beneficial to the patient, including a woman who smoked marijuana as part of her treatment for ALS. She testified her doctors never objected to her smoking and were impressed by the ways she showed improvement after smoking. In November 2016, voters passed Florida Medical Marijuana Legalization Initiative (or Amendment 2) with the required super-majority it needed to amend the state constitution. The ballot initiative called for the legalization of medical marijuana “for individuals with specific debilitating diseases or comparable debilitating conditions as determined by a licensed state physician.” Power to set regulations went to the Legislature, which compiled a list of eligible diagnoses the following year that would be qualified for medical marijuana recommendations. Lawmakers also added verbiage to SB-8A about how cannabis could be administered, which specifically banned smoking. 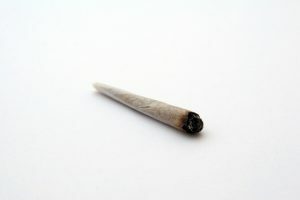 Plaintiffs pointed to Article X of the Florida State Constitution, which only addresses smoking in reference to where cannabis can be consumed, according to a report from The Associated Press. Section 29 (c)(6) states: “Nothing in this section shall require any accommodation of any on‐site medical use of marijuana in any correctional institution or detention facility or place of education or employment, or of smoking medical marijuana in any public place.” Plaintiffs said this clearly positioned smoking of medical marijuana as being covered by the amendment, but only in private. The judge agreed. Our trusted medical marijuana attorneys in Orange County have seen many cannabis laws passed over the years that were completely unnecessary. In an effort to reconcile decades of anti-marijuana propaganda with the current trend toward full legalization, many state lawmakers have tried to impose irrelevant regulations under the guise of safety. While some restrictions are absolutely necessary, such as an age limit or a cap on how much can be purchased, other rules seem to be put in place simply to appease those who are scared of change. Some states, such as Ohio and Florida, have approved medical marijuana use, but doctors are only allowed to recommend it for a pre-approved list of ailments. Connecticut dispensaries are not allowed to have light-up signs on after hours. Other states have tried to limit the ways in which cannabis can be consumed, as is the case in Florida. These rules play into the old ways of thinking, positioning cannabis as something that is scary, dangerous, and unpredictable. Our legal team knows, though, that with the right oversight, marijuana can be an effective tool for medical practitioners, not only for serious diseases, but also commonplace issues, such as anxiety and pain. No deaths have been reported from marijuana overdoses, making it a safe alternative to many drugs on the market now, as well. We hope to see rational thinking continue to prevail, with more extraneous restrictions removed from the law. Our legal team will fight for the rights of medical marijuana patients in the face of continued misinformation about this transformative treatment.